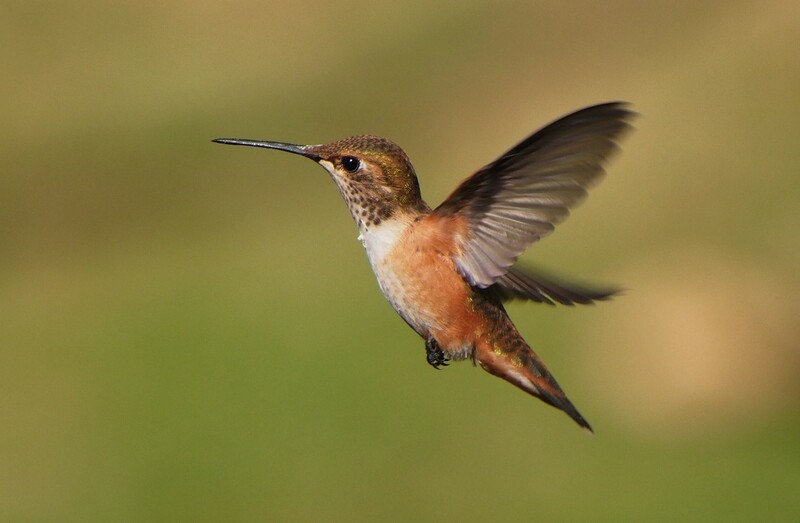 Every year I wait to hear news of the rufous hummingbirds as they make their way north to us. People in the outlying areas report seeing one, then further up the coast, you’ll hear of another. 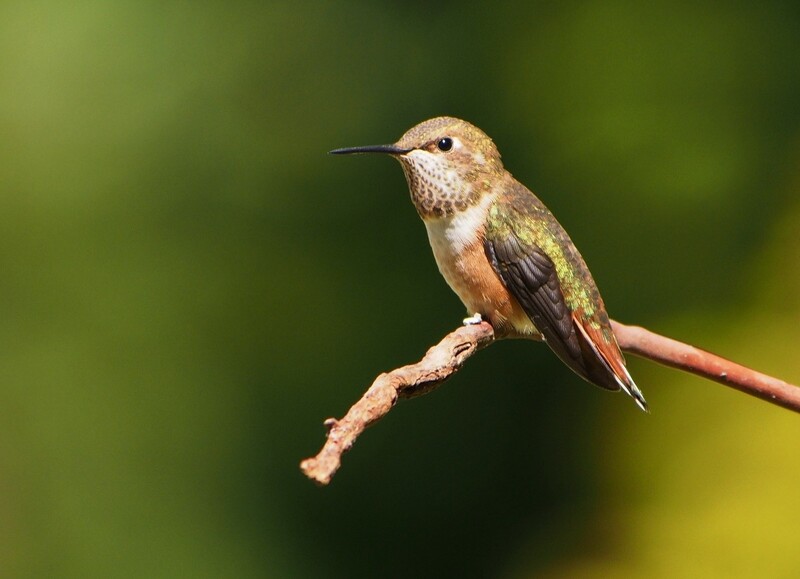 All the while, I am keeping my eye on the hummingbird feeders that the Anna’s hummingbirds are so fiercely defending. We have Anna’s hummingbirds here all winter and I make sure that I always have nectar out for them especially in the freezing weather. 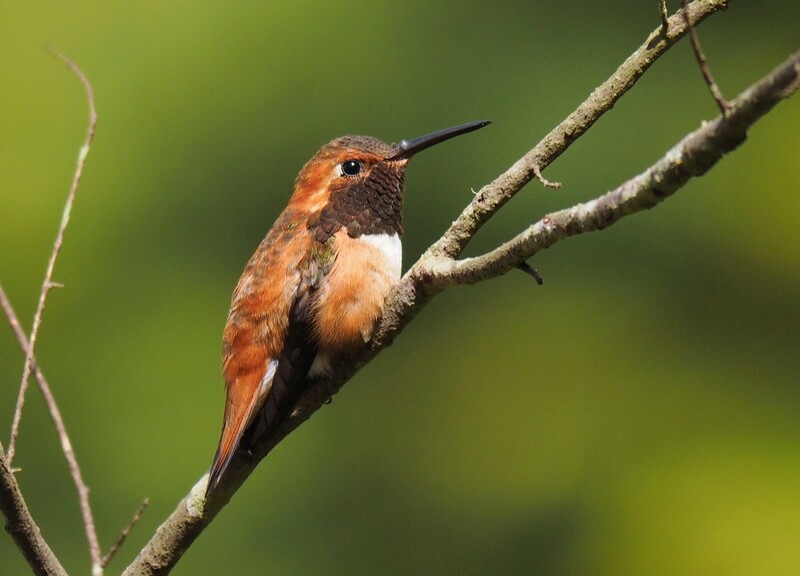 But… in the spring, the rufous come. They have their own charm and their colouring is very distinctive. The males have this wonderful rufous colour that almost looks the colour of rust. The females are a little less showy with green on their backs and rufous sides. 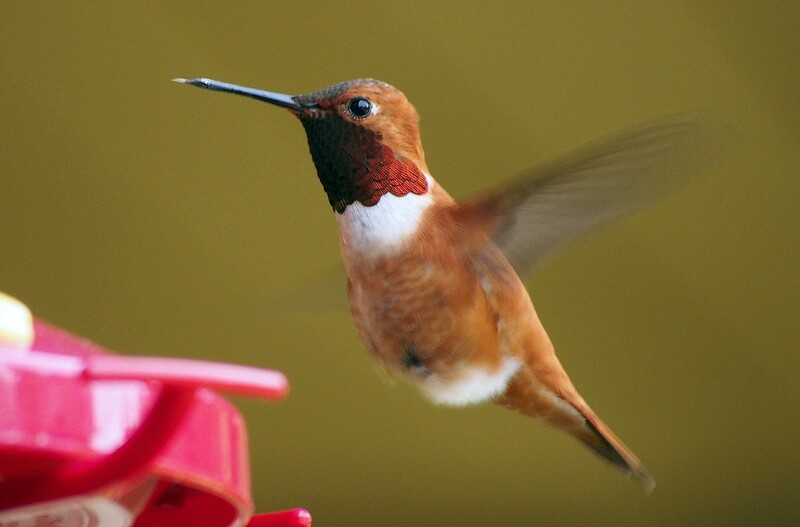 I could spend hours sitting on the deck watching the hummers. Between the Rufous and Anna’s, the feeders get a workout. 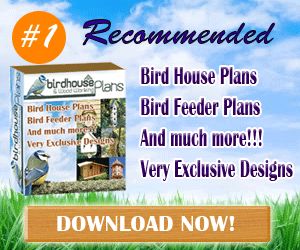 They are very territorial and as soon as one is at the feeder, another one buzzes it and drives it away. It’s always amazing to me that they ever get time to eat, but the feeders go down quickly and I usually need to fill them on a daily basis in the summer. 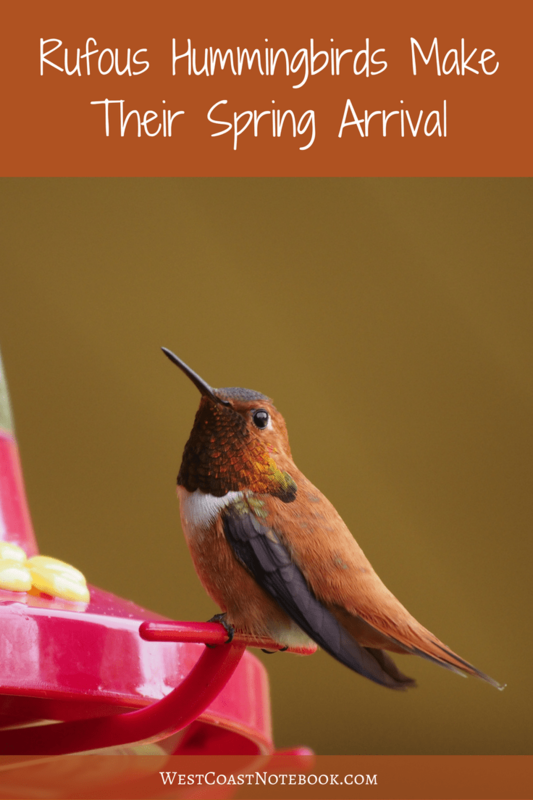 Spring has arrived when the rufous hummingbirds appear.